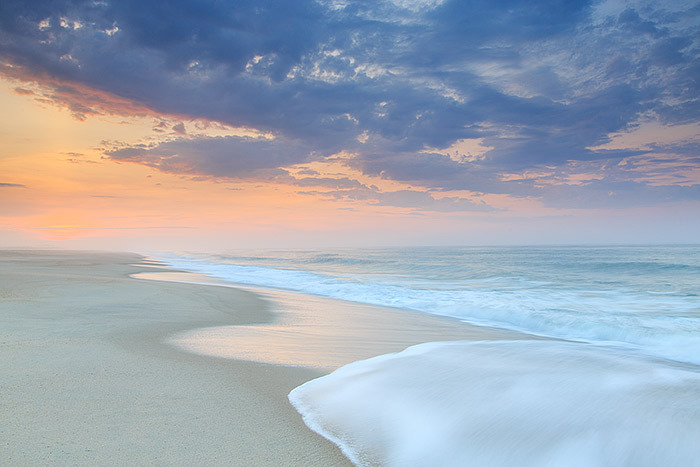 Pastel colors light the sky and color the sea at daybreak over Dune Beach. The sea mist in the air combined with the colors of the sand and sea bring out these pleasing and peaceful colors over one of New York's most beautiful ocean beaches. Photo © copyright by Thomas Mangan.